Nice independent apartment set at the first and top floor of a quiet small building immersed in the beautiful countryside of Montalbano at the altitude of about 300 m. It has a private entry, private small garden, own parking place, private wide covered terrace with great panoramic view over the valley and the surrounding hills. The out-door private swimming-pool (m. 10 x 4,5 x is shared. 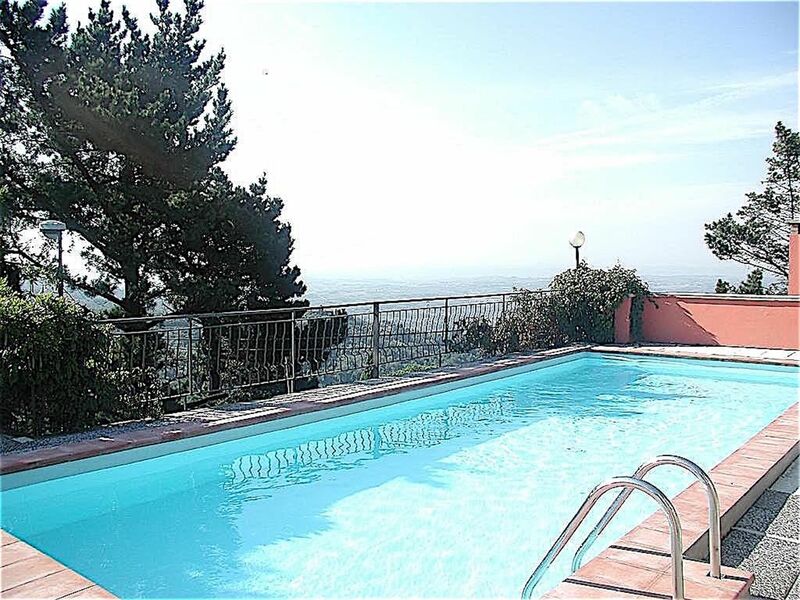 The house is located 400 m. outside a small village near Vinci (native village of Leonardo da Vinci), on a hill top, in a beautiful environment surrounded by meadows and olive groves. The apartment is wide, sized 80 square meters, well- lighted. It has large windows, made up of 2 double bedrooms, one bathroom with shower, one large living-room with a double bed divan and cooking corner. The living-room opens into a covered terrace equipped with deck- chairs and table for out door dining. The village has a convenient access to Florence. A convenient road network makes a day trip to Florence, Lucca, Pisa, Siena, San Gimignano, Arezzo and the mountain or sea resorts an easygoing experience. The place is an ideal starting point for walking excursions. In the village (400 M far) you can find food shops, restaurants, tourist information, post office, bars. More restaurants, supermarkets, bank and all kind of shops are located within a range of 3 – 7 km. PRICES ARE PER WEEK AND FOR A MAXIMUM OF 4 PERSONS. FOR 5 OR 6 PERSONS AN EXTRA AMOUNT OF 50 EUROS PER PERSON PER WEEK MUST BE PAID.